Congratulations to jewelry artist Kate Costello. 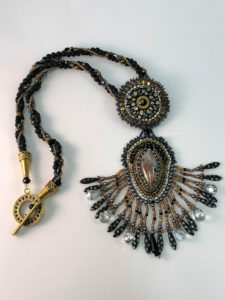 She had two pieces which won awards in the 55th Annual Needlework show at Woodlawn Plantation. This one received the blue ribbon for Adult Original Beadwork. This piece is made using a crazy straw as the curve at the bottom of the piece also supports the tassel. I used a chenille stitch. The upper portion is a peyote twist stitch. Both have the same two color beads. I love the different effect I got. 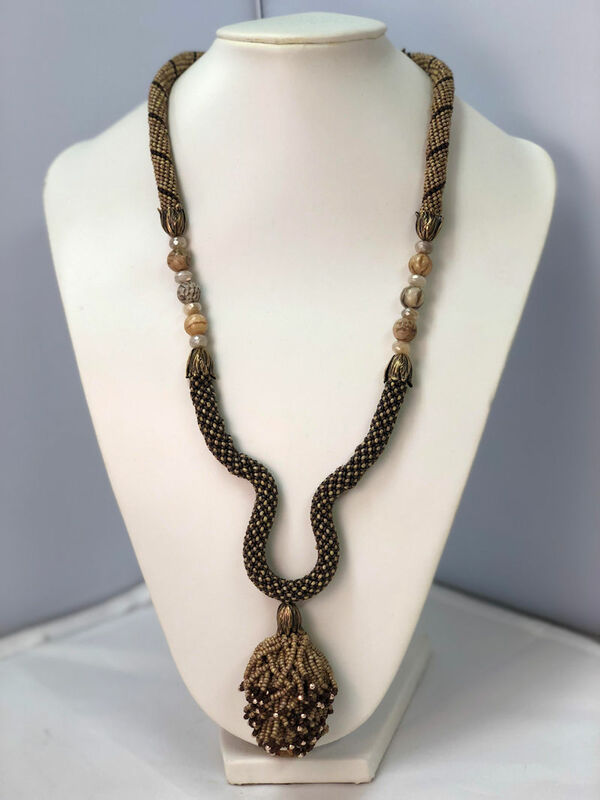 The tassel also uses those two colors but the addition of a faceted gold bead in the center of the loops added a bit of sparkle the stone agate beads added just the right amount of interest.